We use books every day. But how is a book actually created? How are the pages folded? How are they cut? 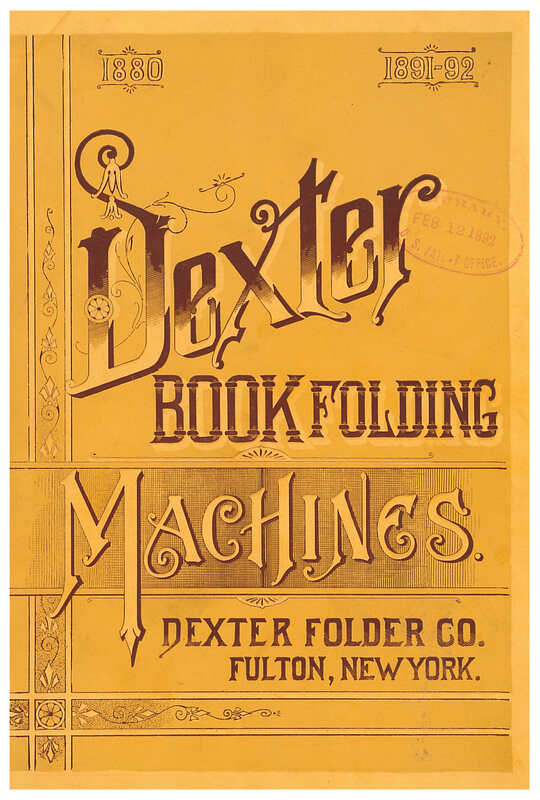 For a glimpse into making books in the late nineteenth century, take a look at this 1891-92 Dexter Folder Co. trade catalog titled Dexter Book Folding Machines. The Dexter Folder Co. was located in Fulton, New York. 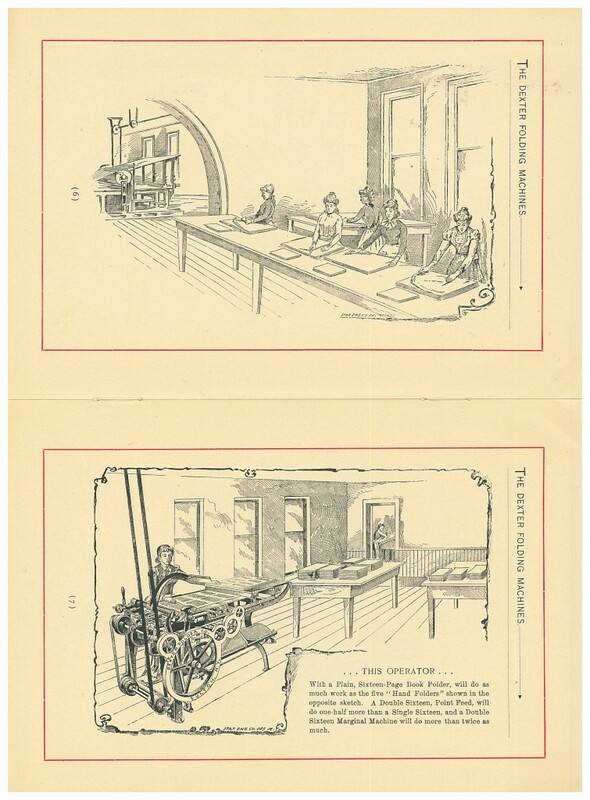 On the introduction page of this catalog, they write that they focused their “entire efforts to the designing and building of Folding Machinery.” They built machines to fold books, periodicals, and newspapers. Dexter Folder Co., Fulton, NY. Dexter Book Folding Machines, 1891-92, front cover. Dexter Folder Co., Fulton, NY. Dexter Book Folding Machines, 1891-92, page 8, an operator using a Dexter Book Folder. 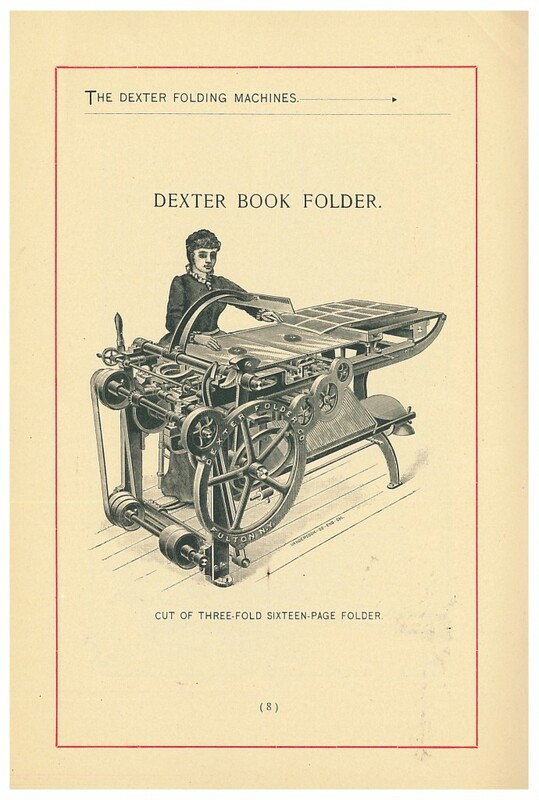 Dexter Book Folding Machines and other catalogs by Dexter Folder Co. are located in the Trade Literature Collection at the National Museum of American History Library.